In our middle school library, which is heavily frequented by boys, there are a few authors whose books never seem to touch the shelves before being checked out again. Chief among them are graphic novelists Jeff Smith (the Bone series), Doug TenNapel (Cardboard, Bad Island), and Kazu Kibuishi (the Amulet series). 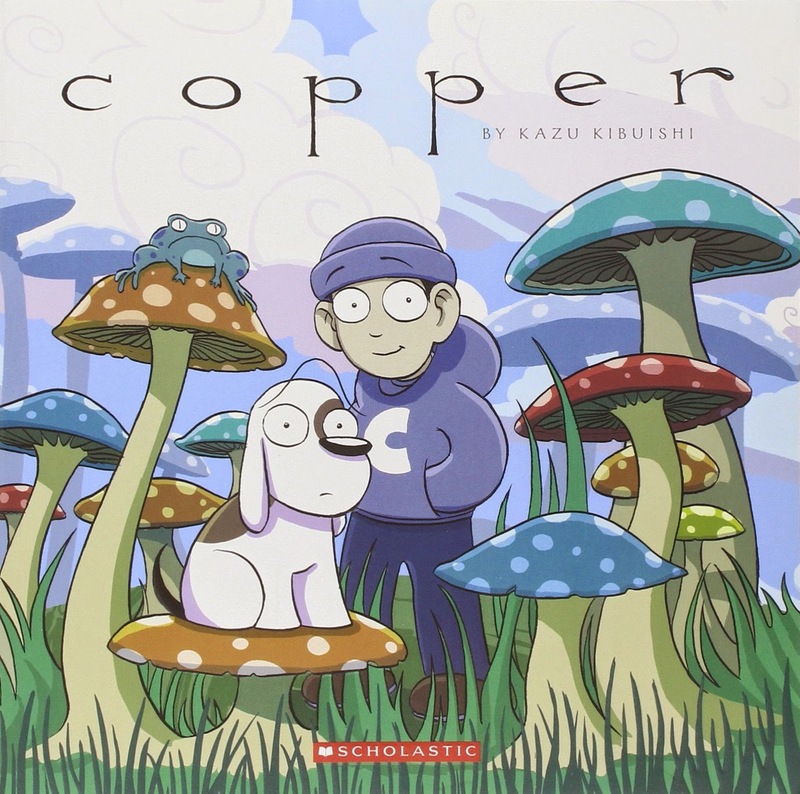 I'm always hoping these guys will release another dang book -- so when I realized that I'd somehow missed Kibuishi's 2010 collection of his webcomic Copper, published by Scholastic, I ordered it right away. Young people want to be older. Older people want to be young. It's an old story. It's life. Every teenager knows it well. They feel it in their bones, the constant rage at a world where everyone is trying to tell them what to do; the hunger for that seemingly-infinitely-distant day when they'll be able to drive a car, buy alcohol, vote, move out, make decisions, be happy. But teenagers see the other side of it: the adults who ache to be young again, who are trapped in miserable lives and punish young people for their youth and freedom and the possibility that maybe they'll be able to make their own dreams come true. 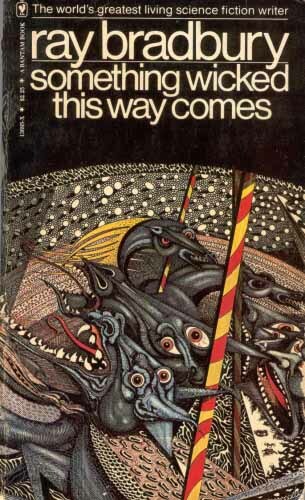 Ray Bradbury's Something Wicked This Way Comes is a masterpiece of dark fantasy, about a mysterious carnival that comes to town, run by a man named Dark, who can give you what you most want - at a terrible price. If you're old, a ride on his magic carousel can make you young again.Young... and monstrous. And if you're young, the carousel can make you older. It's the story of two boys, best friends, thirteen years old - inches away from fourteen - who are poised at the perilous brink of becoming men. Will Halloway is a bookworm, fond of reading about the big wide world but not in too much of a hurry to get there. His friend Jim Nightshade, on the other hand, already has his heart set on grown-up things. There's a darkness in Jim, and that's what the carnival calls out to. From the moment Jack McKinley was smacked awake by his dinosaur and volcano via a coffee pot alarm clock, he knew that his day had not started well. If he only knew how much worse things were going to get before they even came close to getting better! As his day progresses, he ends up in the ER and then is whisked off to places unknown to be attended to by specialists. And that is the part of the story that is the fluffy stuff! Jack meets up with Marco, Cass and Ally - the other kids in attendance at this weird "hospital." Together, they must figure out how to save themselves and thwart the plans of those working against them - or at least they think they are working against them... Along the way, they need to figure out who is actually telling them the truth. 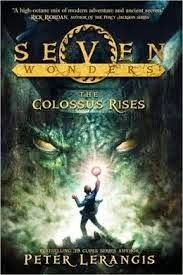 This book is chock full of enough fantastical creatures and adventures to satisfy any fantasy fan. Fans of Percy Jackson and Harry Potter will love this series - it's a fast and fun first installment to a terrific journey. This week I’ve finally gotten around to Mike Dawson’s Troop 142, a graphic novel about one Boy Scout troop’s travails over a week away at camp. I was prompted to read it because of his post about the book’s sales history on his blog. That discussion is something I’ll take up later, but first my review. Imagine this: New York City has been hit with a dirty bomb. No, I'm not talking about a bomb that tells inappropriate nursery rhymes, I'm talking about a bomb that spreads radioactive waste, slowly killing everything in its wake. 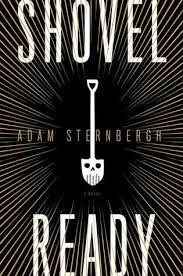 Throw in some climate change-related disasters, a super addictive online video game and you've got the perfect recipe for the dystopian sic-fi thriller that is Shovel Ready. Spademan is a hit-man, before that, when the world was still semi-normal, he was a garbage man. Then the terrorists dropped the bomb on New York, killing his wife and his will to carry on as he did before. He has specific rules about his job, he kills both men and women but he won't kill children because according to him that's "a different kind of psycho." Then, out of the blue, he's given a job with a very lucrative payoff. The catch? The target is an eighteen year-old pregnant girl. Father son books are always interesting to read because depending on the age of their son there is always some subtle tension in the relationship. For young sons the father prods his progeny, trying to get him to be a better player, athlete etc. Older sons, in trying to carve their own niche and explore their individuality are often at loggerheads with their fathers. In this book, the relationship is somewhere in between. Not the US cover, but I prefer this one. Let's say there's something wrong with the planet's climate and hurricane season produces a steady flow of class 5 hurricanes. And suppose the Caribbean found itself the focus of international attention, the kind that pushes the island nations together to form their own unified political coalition, down to its own world-class spies. While we're at it, let's have the island still welcome tourists, but now we're talking major industrial players in high rises throwing hurricane parties. And in the middle of all this someone has finally created the ultimate chemical weapon, one with a really nasty bigoted edge to it, that's about to be launched via the winds of the coming storm. There's only one lone, retired local ex-spy who has figured it all out... but can he stop it from happening? 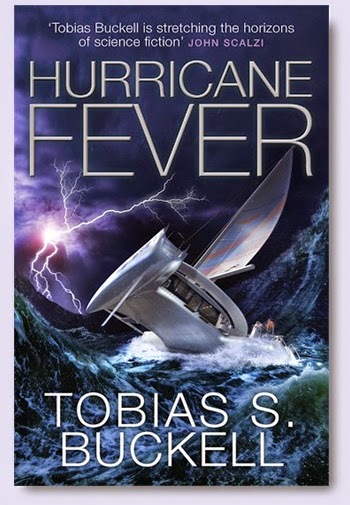 Hurricane Fever is, for me, the perfect spy-thriller-action-adventure-beach-read. It's a summer movie in a book, well-written, and at just under 275 pages proof that the compelling story full of character and suspense can be achieved without the unnecessary bloat of, say, a Clancy doorstop. Maybe you remember John Brown from your history class. An abolitionist, he believed that peaceful reform of slavery was impossible, and only a violent disruption of the slaveholding status quo would end this massive, brutal injustice. In 1859 he attempted to start a slave revolt by seizing the US arsenal at Harper's Ferry in Virginia, but the assault went wrong and he and his comrades were caught and executed for treason. Terry Bisson's Fire on the Mountain is an alternate history that asks the question - what if the assault had succeeded? What if instead of a civil war started by slaveholders who wanted to continue exploiting human beings, America had a revolution started by people who believed that all human beings should be free? In real life, John Brown worked closely with Harriet Tubman, and many scholars believe that if she hadn't been prevented by illness from traveling south to help him plan the attack, he would have succeeded. Fire on the Mountain takes a simple change - she didn't get sick, she helped the rebels, the attack was successful and started a revolution - and extrapolates a whole complicated marvelous utopian future from that. It opens 100 years later, as the prosperous state of Nova Africa is about to put a man on Mars, and pieces together the history through letters and testimonials. Labels: Fantasy , Flying Cars and Lost Cities , Historical Fiction , War - What Is It Good For? 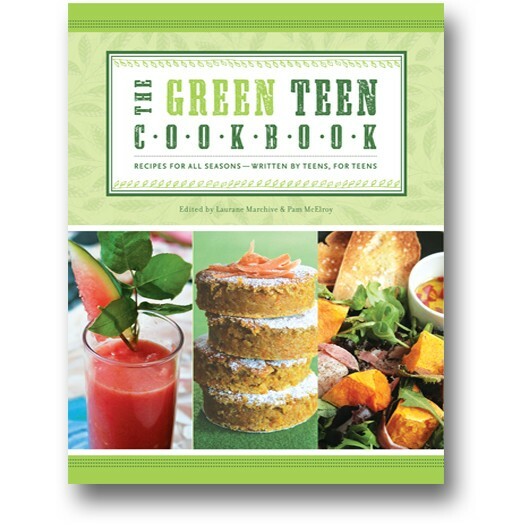 The Green Teen Cookbook, edited by Laurane Marchive and Pam McElroy, is both a cookbook and a resource for thinking about and shopping for food. The first of the book includes essays/articles on things like how to eat healthfully and/or seasonally, eating organic foods, levels of vegetarianism, how to be a locavore, and what fairtrade means. Between the title and the first chapter, I expected it to be a vegetarian cookbook, but it isn't-- it includes all sorts of recipes, including some for meat, chicken, and fish. All of the recipes focus on the use of fresh foods. The second chapter includes recipe for making staples such as mayonnaise, pesto, salsa, and chicken or vegetable stock, and more. It also has a non-staple in the form of chocolate spread (not called Nutella, but still...) The remainder of the book is organized into sections by meal types: Breakfast & Brunch; Soups, Salads & Sandwiches; Snacks & Sides; Main Courses; and Desserts. Each recipe submitted by a teen includes a picture of the teen cook at the top of the page, along with a quote about the recipe and why they like making it or recommend it. The selections include everything from simple dishes like French toast, Green Salad, or Apple Chips to more sophisticated or involved recipes. As a long-time cook and follower of recipes, I found myself wishing that some of the recipes had been proofed better or written just a bit more clearly. The "Summer Lasagna" comes to mind (not, apparently, a teen recipe), where the recipe calls for mozzarella, but doesn't specify that it should be shredded mozzarella, although on reading and re-reading the recipe, it became obvious that was probably what was intended (you mix it with ricotta, and mixing unshredded mozzarella is either impossible or inadvisable. That said, the variety of dishes is excellent, and the personal introductions by the teen chefs who donated the recipes are inspiring -- they explain where they learned to make the dish, or why they like making or eating it. Each recipe also comes with a photograph of the finished dish, and some come with additional "quick tips", like the one for crepes, which says that "Your first crepe will most likely not  be perfect but don't worry, you will get the hang of it." Here's a photo of what a two-page spread in the book looks like. 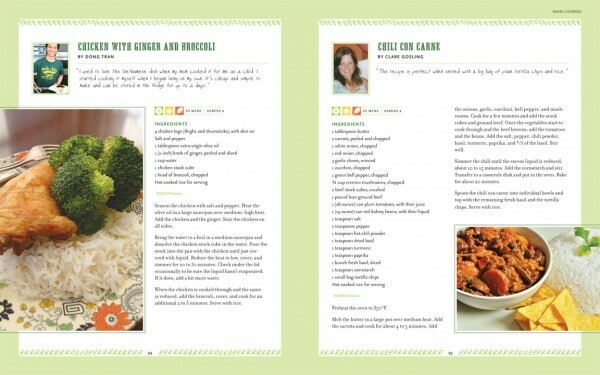 It features recipes for "Chicken with Ginger and Broccoli", supplied by Dong Tran, and "Chili Con Carne", from Clare Gosling. A great book for teens wanting to start cooking or start their own cookbook collections. Jim Eisenreich played Major League Baseball in the 1980s and ‘90s, including a stretch beginning in 1993 with my beloved Philadelphia Phillies. But, rightly or wrongly, I remember Eisenreich not because he was a member of the ’93 Phillies team that won the National League pennant, but because he was my first introduction to Tourette syndrome. (Or, as it is sometimes written, including in When Mr. Dog Bites, Tourette’s syndrome.) Eisenreich’s battles with Tourette’s included a stretch in the ‘80s when he was unable to play. Today, Tourette’s is often used as a punchline, as popular culture focuses on what is known as coprolalia, the involuntary use of socially unacceptable words. Dylan Mint, the teenage narrator of Brian Conaghan’s When Mr. Dog Bites, is one of those with Tourette’s who also exhibits coprolalia. And no doubt one of an even smaller group who occasionally uses his Tourette’s as an excuse to say inexcusable things. Because while Dylan has Tourette’s, he is, first and foremost, a teenage boy. And why not? 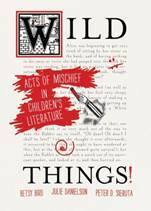 This is a book full of quirky stories, little-known information, and heaps of authorial personality. What else would you expect from Betsy Bird, Jules Danielson, & Peter D. Sieruta? It covers topics such as art in books, and includes a sketch from The Paper Bag Princess in which the princess has obviously clocked the odious Ronald). It discusses LGBT authors (including Louise Fitzhugh, who wrote Harriet the Spy), characters, and issues in books and how far that topic has come over the years (or hasn’t, as some authors find themselves disinvited or marginalized, regardless of whether they themselves are gay or straight). It covers censorship and book banning (which ones and why – some of which is hilarious for how off-base it seems), along with some issues of censorship based on racism that actually sound a bit right (think of the horrifying descriptions of Native Americans in some of Laura Ingalls Wilder’s books or some of the words used to describe people of color over the years). And then there’s the chapter on celebrity books, which gets things just right in the epigraph, a quote by Jane Yolen: “I’m getting out my pointy bra and brushing up on my singing and dancing, because there’s no good pop music out there.” As the chapter points out, what “celebrity book” often means is something with almost no content, or something with a preachy message, which would have been shot down if it had been submitted by an author who was not a celebrity. Thank you, Betsy, Jules, and Peter, for articulating the exact issue. There are more chapters, too. Such as the books that kids love but critics hate, and books as big business, and more. And all of it is well-researched and delivers the sort of story and content that will delight and surprise, as well as entertain and motivate. Avalon starts off with a bang - Jeth and his crew of teenage thieves must steal a ship and get it back safely to their crime lord boss, Hammer. Then the action slows, and we learn about the crew, Jeth and Lizzie's past, their parents' deaths, and all about their ship - also their home - the "Avalon". Soon we're swept up in their newest job - collect a lost ship from the treacherous Belgrave Sector - like the Bermuda Triangle of space - and get back to their home station within 2 weeks. 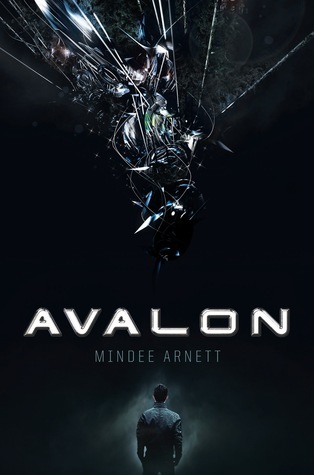 With faster-than-light metaspace travel, potential paranormal powers and aliens, a government conspiracy, budding romance, quirky/funny friends, and all kinds of action Avalon is one hell of a joyride. Much of the new YA science fiction out lately is dystopian, portraying futures plagued by environmental disaster, totalitarian governments and technology misused to such a degree that it threatens human freedom if not human existence. Plus, there are zombies everywhere. Why do kids like this stuff so much? If I were a cultural theorist I might propose that when you grow up with persistent unemployment and a deadlocked government in the face of environmental crisis, rampant disease and ongoing devastating wars, you can get a tad pessimistic. Ok, you can't be blamed for your lousy outlook. Not your fault. Still, as my mother used to say, if you keep making that sour face it will get stuck that way and if you keep reading this depressing stuff you are only going to sink deeper and deeper into gloom. There's an alternative, a cure, for your mood, if not for the world. While little of it has found its way to YA, in adult sci-fi there is a concurrent trend with a more hopeful and longer range vision for humanity. BIG congratulations to our own Sam J. Miller for winning the Shirley Jackson Award for his short story "57 Reasons for the Slate Quarry Suicides" which was published in the December 2013 issues of Nightmare Magazine. You can read the whole story over at their website which we highly recommend you do now, on a sunny August day, so you don't get totally freaked out. When you're done, check out more recommended scary stories (and books and more) at the Shirley Jackson Award site and also read an interview with Sam on writing his story. And again - WAY TO GO SAM!!!!!! !